Constitution Hill, St. Andrew, Jamaica, towers over the Hope River Valley and most of Kingston, as part of the ridge joining Dallas Mountain and Derby Peak in the majestic, world famous Blue Mountains of Jamaica. It is a mainly small-farming community, in respect to coffee, cash crops, and some livestock. In recent times, an active Community Development Association have mitigated for social amenities such as a bus stop, a notice board and a Postal Agency; have organized annual treats for children and senior citizens, fundraising events for the school, road resurfacing and other initiatives. A few progressive small business enterprises have sprung up, and, for such a small community, the residents of Constitution Hill are mighty proud of their block-making factory…they have a serious desire to build. Constitution Hill would have been in the constituency of Jamaican National Hero, George William Gordon, a wealthy mixed-race businessman, magistrate and politician who was summarily deemed to have been culpable in the planning of the Morant Bay Rebellion, an uprising of the suffering post-slavery Africans, and was hanged in “Christ-like” fashion along with Paul Bogle, himself also now a National Hero. On July 16, 1931 Emperor Haile Selassie I introduced his Ethiopian Constitution. Take note that, coming from the “Christ in His Kingly Character”, this Ethiopian Constitution would have to be considered as the Most Supreme Intellectual Property. Since the beginning of this year our Dr. Christina Sinclair, great-great-great grandniece of Queen Nanny of the Maroons (a National Heroine), against the background that “One shall say , I am the Lord’s, and shall surname himself by the name of Israel”(see Isa.44 v 5), travailed in mind to consummate an act of our faith in RASTAFARI, given that the State of Israel fulfills 70 yrs. on May 14, 2018. This “mustard seed” of faith, which she also shared with us, that is, our good friend Christopher and myself, was to plant a copy of the Emperor’s Constitution somewhere in Jamaica, our anticipated ‘New Jerusalem’, at some time in 2018. We thought at first to send messages to all the recognized ‘Mansions of Rastafari’ in Jamaica, advising of our thoughts and intention, with a view to gaining strong consensus, but, to be honest, that speculation did not persist. Instead, we found ourselves joking in unison that the first thing we would probably encounter was a charge of the order of “these have gone mad”!. We then solemnly determined that the mustard seed was going to be the keeping of the faith and the act between the small three of us. “The kingdom of heaven is like to a grain of mustard seed, which a man took, and sowed in his field: Which indeed is the least of all seeds; but when it is grown, it is the greatest among herbs, and becometh a tree, so that the birds of the air come and lodge in the branches thereof” (Matt.13 v 31-32). “For who hath despised the day of small things? for they shall rejoice, and shall see the plummet in the hand of Zerubbabel with those seven; they are the eyes of the Lord, which run to and fro through the whole earth” (Zech.4 v 10). Many weeks of pondering and sometimes forgetting and even a little procrastinating, went by. Of course, I guess we dodged under the protection of the pretext that we were “still trying to find a mustard seed”, when we would have more suspected that we wouldn’t be finding that in our neck of the woods any time soon. We spoke of possible places like Accompong, Pinnacle or Blue Mountains, before Christina abruptly asked one day, “Hey, where is this Constitution Hill?”. Apparently, for some strange reason, the name of that place had been bombarding her consciousness for some weeks, and, in our discussion around possible places to plant the Ethiopian Constitution, she thumped her question at us. Now, imagine her shock when she was to find out that a real Constitution Hill actually sat just above the August Town community where she had been doing some social work most of last year. Hence, in a curious, and furious twist of plans and circumstances, we found our three selves, inside a Dreadlocks-driven taxi last Sabbath, 5th May, rollicking on the narrow and winding road up to Constitution Hill…to a place none of us had (knowingly) been before, to plant the copy of the Ethiopian Constitution that H.I.M. wrote at a spot yet unidentified to us, along with the nine grains of corn that our faith had accommodated in place of the mustard seed. “The fifth of May?!! 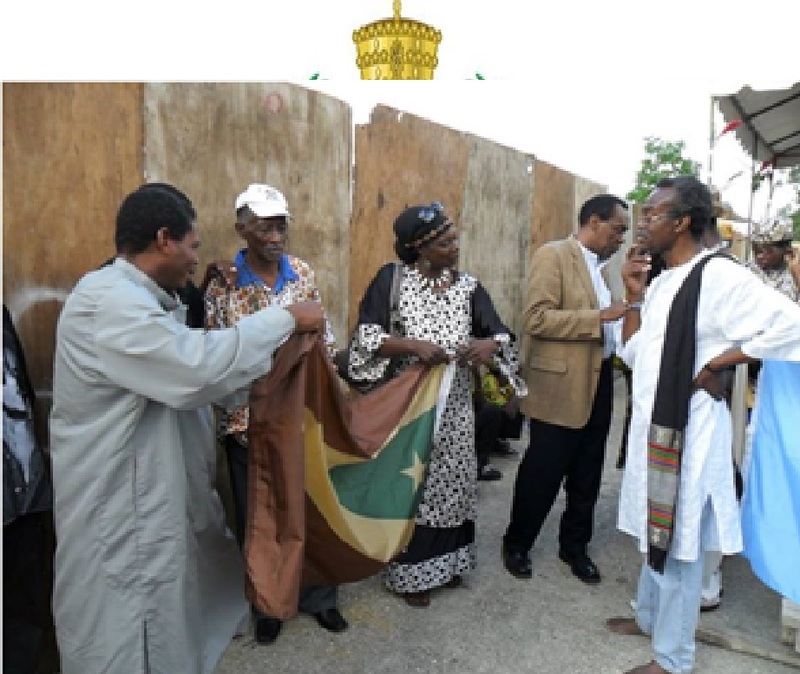 !”…yes, that’s how we all reacted when, this time in a rustic, (Dreadlocks again) mini-bus with Reggae sounds blaring on way back down from Constitution Hill, we suddenly remembered that 5th May is actually Ethiopian Liberation Day. The fact that it was also Sabbath we found remarkable…”After living five years in exile, Ethiopia’s Emperor Haile Selassie I returned to the capital city of Addis Ababa on this day in 1941. Five years prior on the same day, the emperor would flee Ethiopia as the Italian invasion, which began in 1935, overtook the country. The emperor was patient in rising back to power, using political connections and the military might of his allies to defeat the fascist Italian forces, prompting Ethiopia’s liberation”… (From ‘Face2FaceAfrica’). The period around seventy years ago would have been those years succeeding the Second World War, encompassing a kind of rehabilitation of the “New World Order Matrix”, with a purposed focus on the establishment of the State of Israel. It is a fact that, in 1948, world organizations such as the International Court of Justice/ICJ (Apr.18, Hague, Netherlands), the World Health Organization/WHO (Apr.7, UN), the Organ for European Economic Cooperation (Apr.16) and the Organization of American States/OAS (Apr.30) were all established in the same year. The International Declaration of Human Rights was adopted at the U.N. on June 18. Among the other several firsts and/or significant events of 1948 we find the “first tape recorder” (Jan.27), the Wright Flyer “first plane to U.K. and back to U.S.” (Feb.13), 20thCentury Fox-Movietone News “first newsreel telecast” (Feb.16), Experimental TV (Mar.18), ABC TV Network (Apr.19), CBS Evening News (May 3), “first stored computer program run” with Manchester Mark 1 (June 21); and “first jets across the Atlantic” (Jul.12). Just these will boggle the mind to consider by themselves alone. Therefore, to further factor in the fact that Israel was engaged in hostilities for most of 1948, that Jerusalem was bombed multiple times during that year, along with other parts of the State, it is absolutely stupendous, for example…that, on just one day, May 14, 1948, and amidst all else, the State of Israel was able to accomplish Independence from British Administration, along with simultaneous de facto recognition from the U.S. and make its first government radio broadcast on Kol Yisrael. The confetti would barely have been taken down, before the first full-scale Arab-Israeli War would begin on May 28. Obviously, there seem to have been very extraordinary determination and support extended to the effort to establish and sustain the State of Israel, “even in perilous times”, from the “powers of the Earth”. Will we get any kind of such assistance from any quarter, even to kick start our “little faith”? 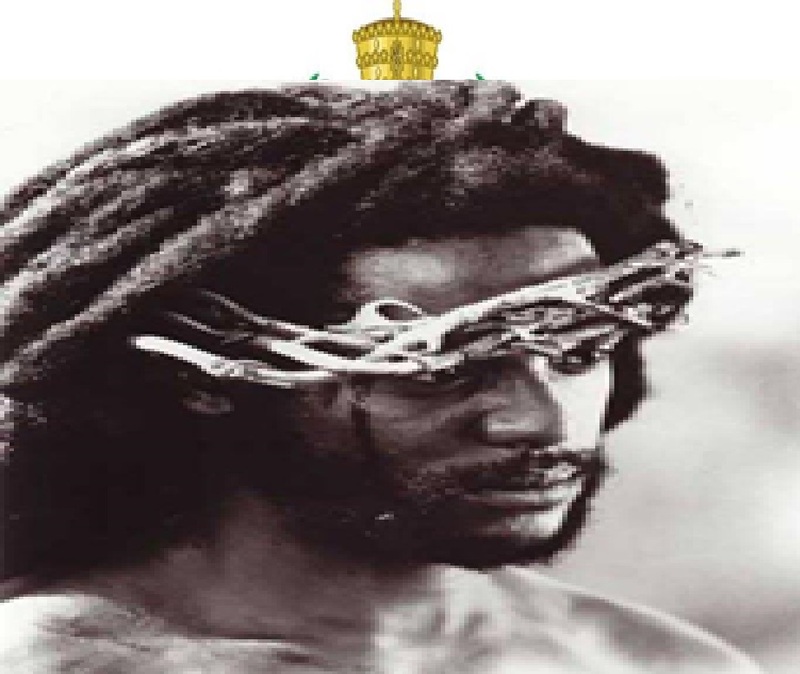 In coming more direct to our reflection of the “Rebuilding of the Temple”, and other than establishment of the Israeli State, we must take note of at least two other events that took place around that time period, that bear heavy significance to Jamaica and that particular context. The University of the West Indies was established in same 1948, yes…and, Queen Elizabeth II was confirmed on the British Throne in 1952. Incidentally, on April 21, 1966, celebrating her 40th Birthday, one can imagine that the Queen, in achieving that sacred milestone, would most probably have been doing a status check on her empire. Imagine then, that , when the Queen would have zoomed in on Jamaica, her “Jewel in the British Crown”, her “Pearl of the Caribbean”, it was only to find her subjects all being taken up and being crazily fascinated with their “Lion of Judah”, the “King of Kings” Haile Selassie I, who was visiting the island on that same day. Our faith is in the real fulfillment of the prophecies of the Holy Scriptures. Our faith is in the restoration of the order of RASTAFARI ONE LOVE in all creation…”The wolf also shall dwell with the lamb, and the leopard shall lie down with the kid; and the calf and the young lion and the fatling together; and a little child shall lead them”…”They shall not hurt nor destroy in all my holy mountain, for the earth shall be full of the knowledge of the Lord, as the waters cover the sea”…(Isa.11 v 6 & 9). “A little one shall become a thousand, and a small one a strong nation: I the Lord will hasten it in his time”…(Isa.60 v 22). “And many nations shall come, and say, Come, and let us go up to the mountain of the Lord, and to the house of the God of Jacob; and he will teach us of his ways, and we will walk in his paths: for the law shall go forth of Zion, and the word of the Lord from Jerusalem”…(Mic.4 v 2). In spiritual context, we firmly believe that the Ethiopian Constitution is the foundation for ‘New Jerusalem’. There are but a few more significantly mystic pieces to share before we close. Our friend Christopher was not only a witness to us and “all these things”, he was also an extremely intrigued and committed member of the crew…especially when we let him know that another Christopher (Columbus) had taken first sight of Jamaica on another Sabbath Day, 5th May, 1494. Finally, on our way back down from Constitution Hill in the late evening, we commented around the “toughness of the dry ground” that we had to dig into for the planting, and it was jokingly suggested that “all we need now is a good shower of rain”…yes, it had to be a joke, since we had gone an extended period of hot, dry weather. We went to our homes…and it rained heavily all over the island of Jamaica…for three days! 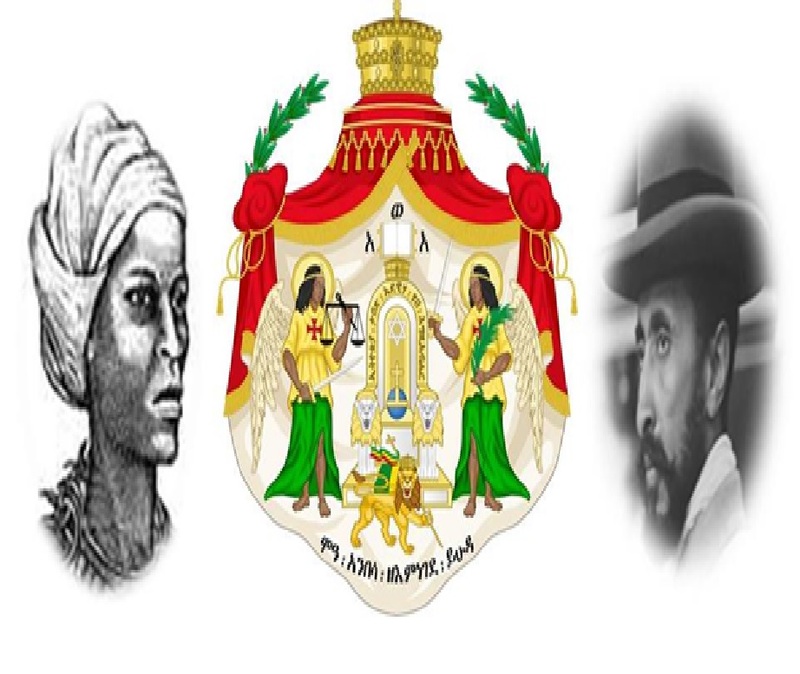 Be it known, therefore, by all Global and International Houses, Mansions and Sects of RASTAFARI, and by the WORLD; that we have exercised this FAITH, and in league and fellowship with The Ethiopian Crown Council of The Solomonic Dynasty, have, on Saturday 5th of May 2018, planted a copy of the Ethiopian Constitution in Constitution Hill, Jamaica, upon our knowledge and inspiration of the WORD and the Holy Spirit of RASTAFARI, as to hereby symbolize the Rebuilding of the Temple of the MOST HIGH GOD, here………in JAH-MEK-YAH…the ‘NEW JERUSALEM’!